Mathematical communication is a dialogue about the transfer of mathematical messages in writing or verbally containing mathematical material in the form of concepts, formulas, or problem-solving strategies. One aspect of the indicator in mathematical communication is expressing mathematical ideas through writing. This study aims to analyze the difficulties of students in working on mathematical communication problems in geometry. The approach in this study uses a qualitative research approach with descriptive methods. The instrument used in the form of communication skills test in the form of description, the number of questions as much as 1 item, the question is given to class IX students as many as 29 students in one of the Public Middle Schools in West Bandung Regency. The results of the study showed that students' ability to express mathematical ideas through writing on geometry material on mathematical questions containing 3 aspects, namely (1) Writing down the data is known and asked, (2) Solving problems with mathematical symbols, (3) Illustrating solutions with images, still relatively very low, only 16% of the students' answers reached the maximum score. Ariani, D. N. (2018). Strategi Peningkatan Kemampuan Komunikasi Matematis Siswa SD/MI. Muallimuna: Jurnal Madrasah Ibtidaiyah, 3(1), 96–107. Depdiknas. (2006). Kurikulum Tingkat Satuan Pendidikan (KTSP). Jakarta: Departemen Pendidikan Nasional. NCTM. (1989). Curriculum and Evaluation Standard for School Mathematics. Virginia: The NCTM Inc.
Sumarmo, U. (2014). Pengembangan Hard Skill dan Soft Skill Matematik Bagi Guru dan Siswa untuk Mendukung Implementasi Kurikulum 2013. In Prosiding Seminar Nasional Pendidikan Matematika Program Pasca Sarjana (pp. 4–15). Sutama, dkk. (2013). Contextual Math Learning Based on Lesson Study Can Increased Study Communication. 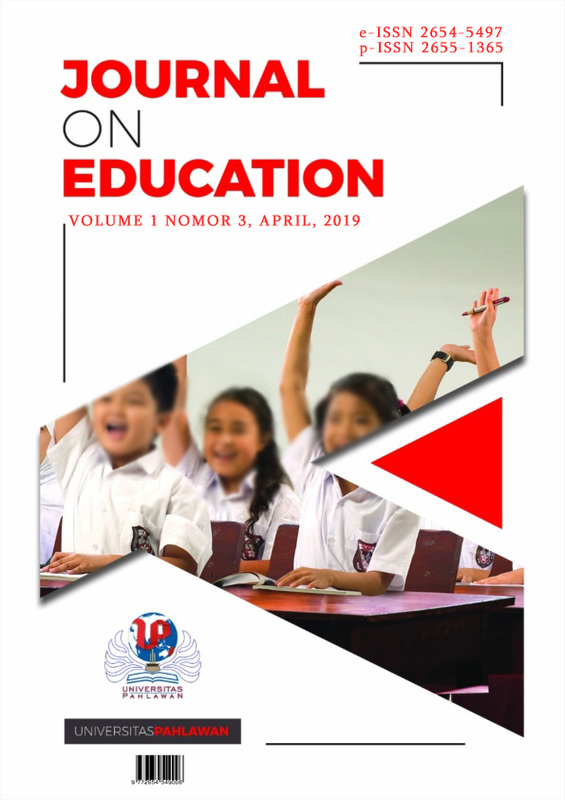 International Journal of Education, 5(4), 48–60. Wijayanti, W. O. (2014). Peningkatan Kemampuan Komunikasi Matematika Melalui Strategi Berbasis Masalah Tipe Relating, Experiencing, Appliying, Cooperating, Transfering (PTK Bagi Siswa Kelas VIII B Semester Gasal SMP Negeri 1 Sambi Tahun Ajaran. Universitas Muhammadiyah Surakarta.